A couple of weeks ago I went along to an Easter Craft Fair held by The Fairy Tale Fair at the Charmendean in Worthing. You may remember my blog on the Fairytale Fair's Wedding Fair which was my first experience of one of their events. 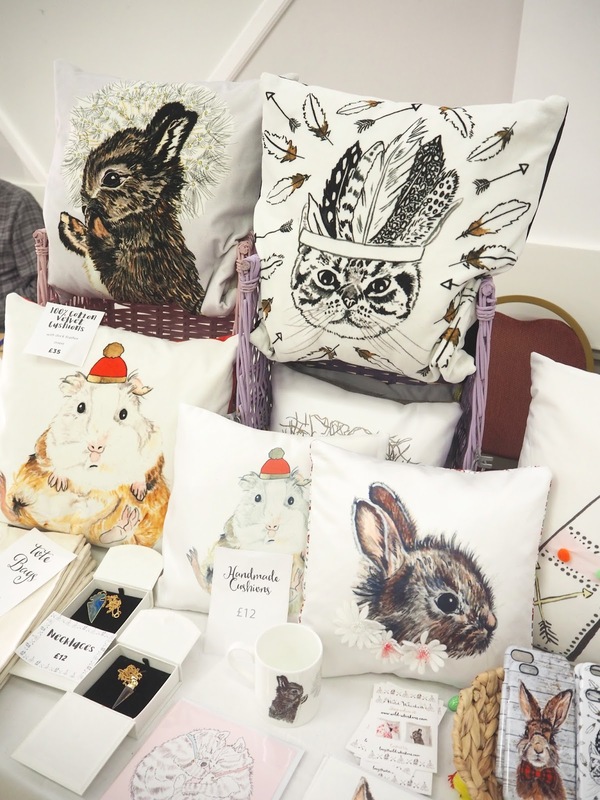 I love supporting the handmade community, something that is handmade always feels so much more special and this Easter Fair had such a wide variety of hand crafters showcased. 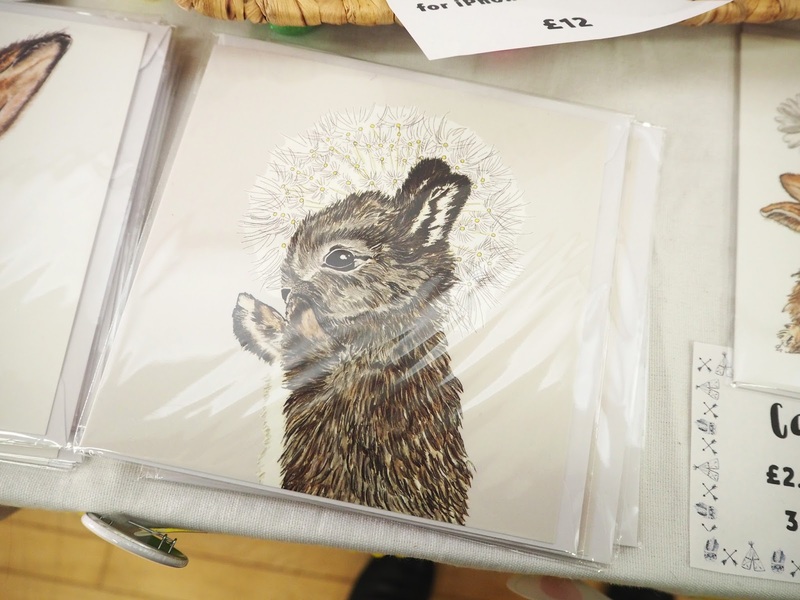 I was immediately drawn to an adorable looking stand featuring the cutest animal illustrations and prints! The company is called Wild Whiskers, don't you just love that name?! Wild Whiskers was started by Lucy James in 2014 having completed a degree in Textile Design at Central Saint Martins. She hand creates everything in her studio in the Sussex countryside and paints all her designs with acrylic paints as she loves layering paint. My favourite design was definitely the adorable little bunny with his paws in the air and a pretty dandelion in the background! Geoffrey the Guinea Pig in his cute little bobble hat was another favourite and there is also a fabulous Flamingo design on her website that is magnificent. As she really loves animals she says she finds them so relaxing to paint & create her designs. I'm in awe of Lucy's talent at illustrating, I really wish I had her drawing skills! 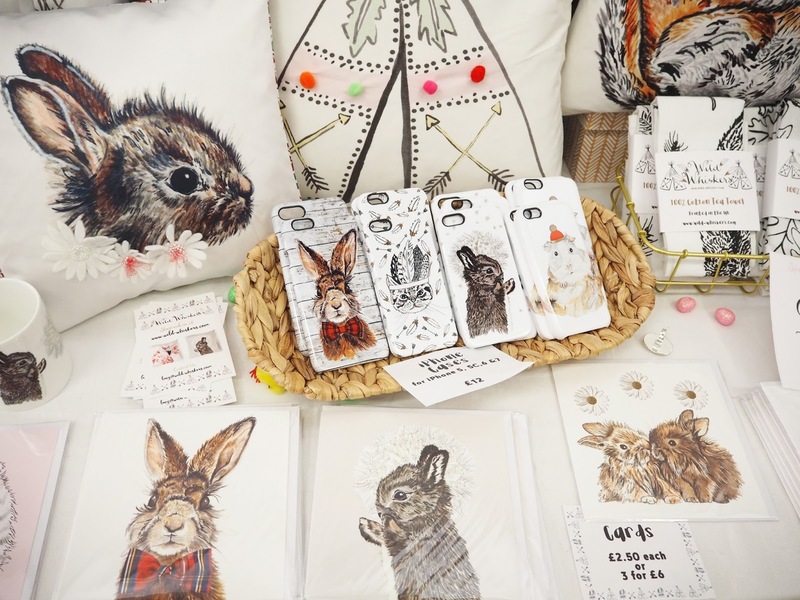 She prints her illustrations onto a wide range of products & gifts that include: iPhone Cases, Cards, Cushions, Mugs, Tote Bags, Tea Towels, Bean Bags and Prints. Lucy has recently extended her range to include wedding themed items such as Personalised Ring Cushions and Bride Tribe Tee's which I love and think would be awesome for hen do's! 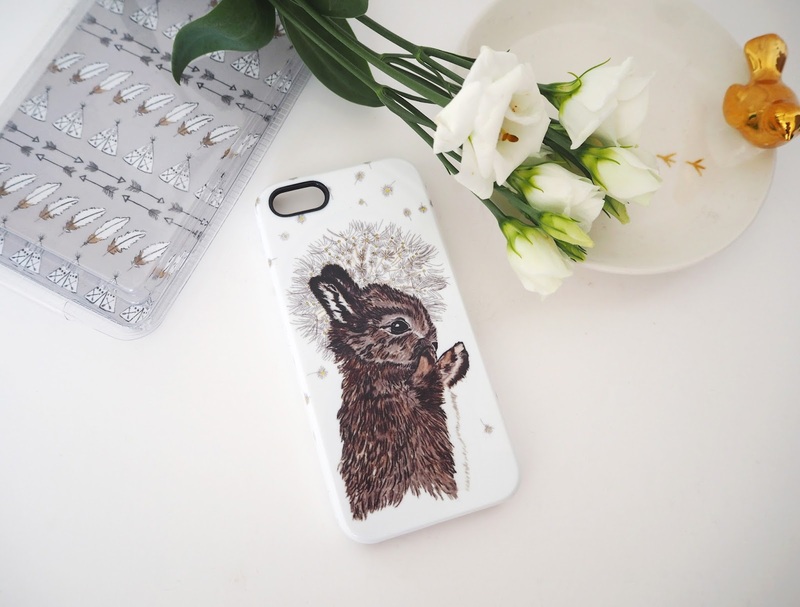 I picked up a phone case* with the adorable little rabbit illustration on (see pictures below) that I had fallen in love with by this point! 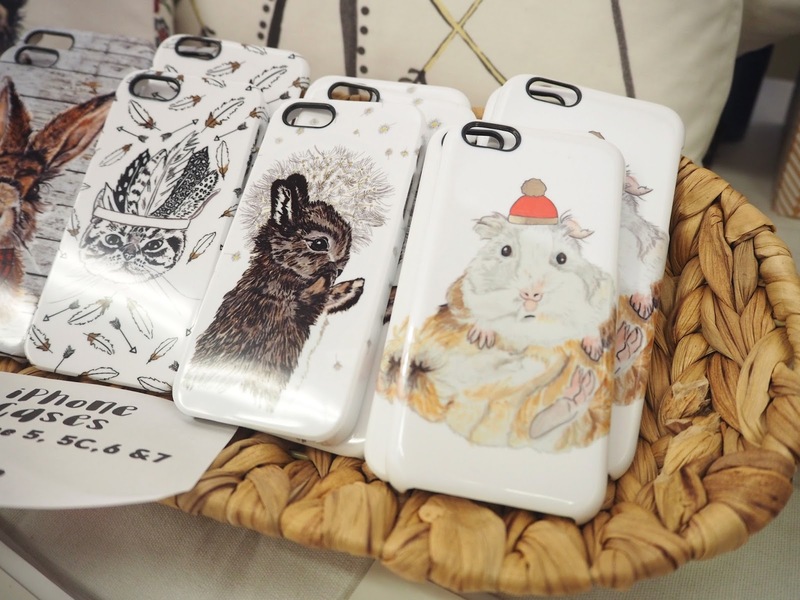 You may already know that I have a real love for anything with creatures (usually woodland creatures) printed on it! 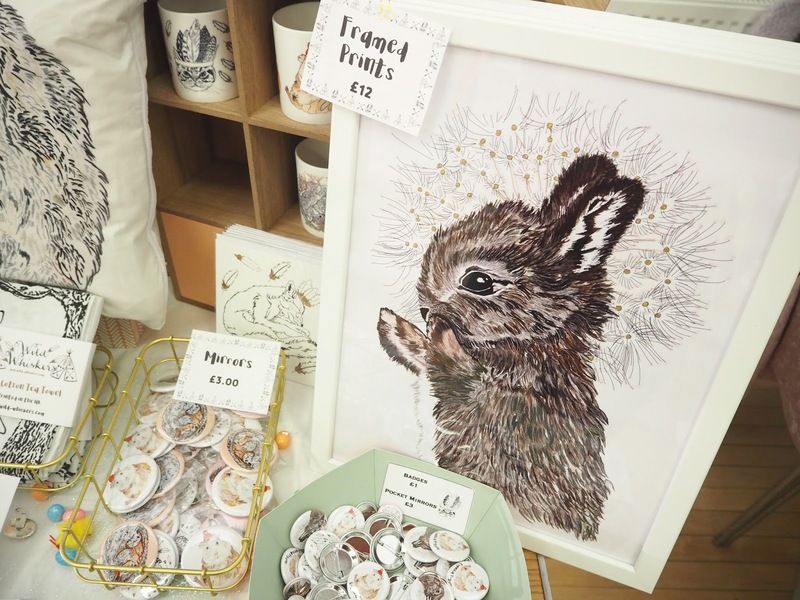 Mostly it extends only to Jumpers & Jewellery but having fallen in love with this rabbit illustration I could quite happily pick up some of the matching items such as the cushion. I may have to see if Lucy can use my cat Mandy as the basis for one of her next illustrations! You can shop Wild Whiskers handmade accessories online here. You can also follow on Facebook, Twitter and Instagram to keep up to date with the latest news and events - her first trade fair is coming up in July! Which is your favourite design from the range? Awww, these designs are so adorable! 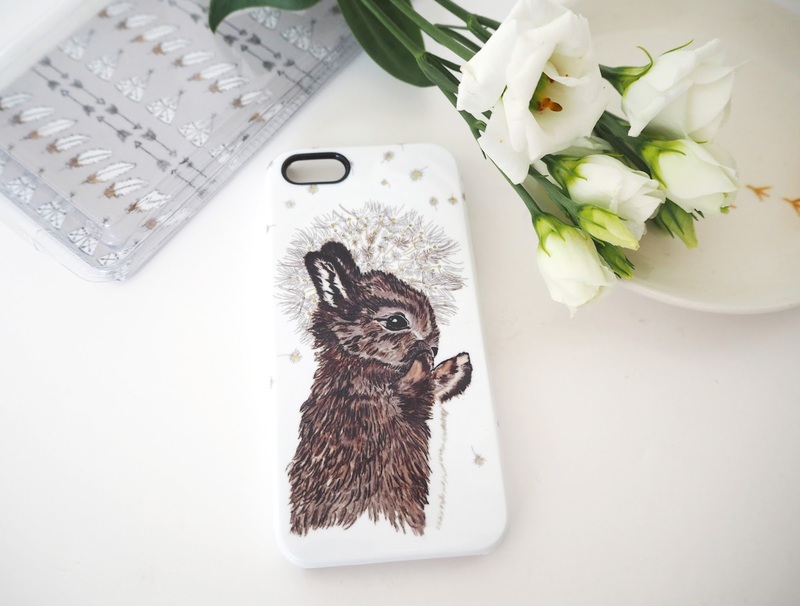 The phone case you picked up is lovely!